Digital technology has made life both simpler and more complex; and one of the things that it has simplified is the online process involved in how to get prescribed testosterone replacement therapy for adults who have developed chronic Low T symptoms. This represents a real breakthrough for people who don’t have hormone replacement therapy doctors or clinics located in their local areas; in other words, people who have been lacking any viable options for getting doctor prescribed TRT close to home. 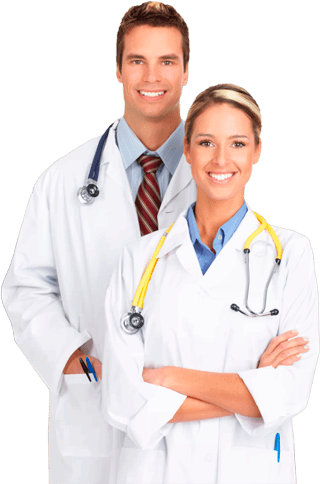 However, with the introduction of highly qualified online medical providers such as Nexel Medical who specialize in the testing and treatment of testosterone deficiency, every adult in the US who is clinically determined to be suffering from Low T can now access the treatment they require right from their home or office computers. With a respected and fully licensed online doctor managing their treatment digitally, every adult, regardless of where they might live, is now able to locally complete their pre-treatment procedures (blood testing and a physical exam). Once they receive a diagnosis of Low T, they are then able to order their prescribed treatments online for prompt and direct delivery to them. What could be simpler than that? The digital revolution has made it possible for all of us to access not only limitless information but also innumerable good and services that were previously unavailable to us. But you might not have realized that people are now using the Internet to obtain some of the specialized and often difficult to access health care services and treatments they require. So the digital world is quickly becoming one of the primary facilitators for how to get prescribed testosterone replacement therapy – and it is also making Nexel Medical one of the Internet’s most sought-after quality providers of medically correct treatment programs for adults with clinically verified testosterone deficiency. Having immediate access to the specialized medical treatment you require is a major advantage, but there are other important advantages that you can gain from using an online TRT provider like Nexel Medical for your Low T therapy. One of these is something that you have probably become accustomed to going to the Internet for, which is information on topics that are new to you. But in this case, Nexel Medical wants you to be able to speak to a real live expert whenever you have questions about how to get prescribed testosterone replacement therapy or anything else that relates to the use of Low T treatment. While the Internet is unmatched for convenience as a reference tool, our doctors recognize that any individual’s specific questions on testosterone therapy can be more completely answered by knowledgeable experts, rather than by websites – regardless of how informative or comprehensive they might be. You can access our TRT experts by phone or email; if you have a number of questions, we recommend that you call us directly and speak to one of our clinical advisors. At Nexel Medical, our advisors are trained and knowledgeable professionals who can answer all of your questions about TRT and are always happy to do so, even if you have not yet made a decision about using it. We want you be informed by the latest and most accurate information that has been compiled by the hormone replacement therapy medical community, so that any decision you make about getting treatment for your Low T symptoms is based on fact, and not fallacy. And if you have already reached a decision about moving forward with testosterone replacement therapy, just one phone call is all it takes to have one of our advisors schedule your local blood testing and physical exam. That’s another advantage of using an online TRT provider like Nexel Medical – there is no need to wait for weeks just to see a traditional doctor or clinic that can eventually prescribe treatment for you, once you have managed to get an appointment with them (which is often going to require travelling outside of your local area). We live in a big world, but the Internet has made it possible to virtually connect with nearly all of it; but most people actually live out their lives within a much smaller universe of their own making. Finding out how to get prescribed testosterone replacement therapy is something that you can do to improve the conditions of your health – but it also has the ability to improve the conditions of your lifestyle. 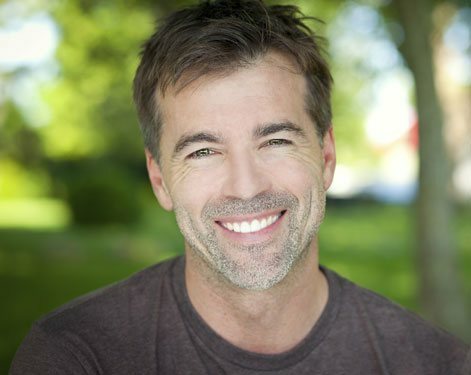 The use of a correctly prescribed Low T treatment program is designed to do one thing: Restore your insufficient testosterone levels to healthy and beneficial balance. However, that one thing has the ability to lead to many other positive improvements in your life because hormonal balance plays a key role in helping to keep you strong, resilient and vital throughout your entire adulthood. But what type of TRT is going to be the best for you to use for gaining all of the wellness benefits it delivers? Will it be the use of testosterone injections … or a topically applied gel or skin patch … or one of the newest forms, like implanted time-release pellets? It’s important to the doctors at Nexel Medical that our patients not only understand how to get prescribed testosterone replacement therapy from an online provider, but that they also understand what the various treatment options are. So we take the time to explain them and point out the individual advantages and disadvantages that accompanies the use of each form. We believe that the convenience of using an online medical provider shouldn’t mean that you will need to sacrifice anything in the way of personalized attention to your individual requirements and preferences; in fact, we pride ourselves on providing each of our patients with the highest levels of medical support and professionalism throughout their entire program of Low T therapy. So if using an online provider sounds like the best way for you to receive a prescription for using TRT, you can be sure that choosing Nexel Medical is a sound and responsible health care decision. The next move is up to you – will you continue to live with your Low T symptoms or is it time to eliminate them and be able to enjoy a healthier and more rewarding life?